Becoming a Certified Nurse Aide (CNA) in Delaware is an excellent career choice for anyone who wants to work directly with patients and long-term care residents, and wishes to find employment as quickly as possible. New CNAs complete a training program and take a competency examination. Nurse Aides who have already completed equivalent training can take different paths to CNA certification in Delaware. The Delaware Division of Long-Term Care Residents Protection (DLTCRP) is the responsible state agency, and it has contracted with Prometric to administer the exam and manage the CNA Registry. In the following sections, the steps to earning certification are reviewed. Most individuals in Delaware meet CNA certification requirements by completing a training program and taking and passing a state CNA Competency Exam that evaluates knowledge and skills. However, there are other routes available, including only taking the competency exam, getting reciprocity approval and deeming. Certified Nurse Aides are also known as Certified Nursing Assistants. The first step a person should take is reviewing the different routes leading to CNA certification. Delaware has seven (7) routes. A new nurse aide will complete a training program that is approved by the DLTCRP. After successfully completing the CNA program, the individual will need to pass a competency examination within 24 months. Nursing students who have completed a basic or fundamentals course at a state licensed nursing program can request to take the CNA state exam. The nursing course must have included a minimum of 75 hours of clinical instruction in a long-term care facility. A Delaware Certified Nursing Assistant must work a minimum of 64 hours during a 24-month certification period in order to recertify. If the nurse aide does not meet this requirement, and allows certification to expire, he or she must retest. A Certified Nurse Aide who obtained certification in a state other than Delaware, and has less than three months of full-time employment, can take the CNA Exam without retraining in a Delaware state-approved CNA school. An individual who graduated from an RN or LPN program over two years (24 months) before he or she submitted an application for CNA certification can request to take the state exam. The RN or LPN training meets the CNA training requirement. 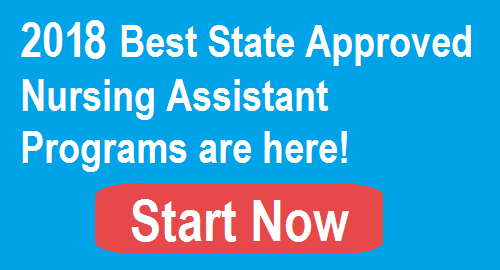 Those who need to complete a CNA training program should only consider one of the state-approved programs. There are a variety of CNA classes in Delaware that are offered at community colleges, technical schools, high schools and workforce training centers. Nurse aide students can also train at long-term care facilities while working for pay. The Delaware CNA school list is updated in February 2018. The pass rates are first time test results between April 2017 and December 2017. Each CNA school and program establishes its own schedule and course fees. All CNA classes in Delaware are required by state law to be a minimum of 150 hours which consists of 75 hours of hands-on clinical training and 75 hours of classroom and laboratory training. Some CNA training programs require more than 150 hours. For example, Delaware Technical Community College offers a 180-hour Certified Nursing Assistant course that takes approximately two to three months to complete, depending on the schedule selected. The tuition and fees are $2,395 (subject to change by the school at any time) and include tuition, textbooks, CPR certification, uniform, criminal background check, drug screening and certification exam. Workforce Innovation & Opportunity Act (WIOA) financial aid is available to students meeting certain qualifications. For comparison purposes, the CAMTECH Certified Nursing Assistant Program is a 6-week program. Program fees are $2,995 (subject to change) and includes tuition, textbooks, drug test, TB test, uniforms and nurse aide certification registration fee. Since students from nearby states attend this CNA program, they are encouraged to check for workforce training funds at the appropriate Department of Labor in Delaware, New Jersey or Pennsylvania. There are other funding options available in Delaware that individuals should check, if they think they may qualify. 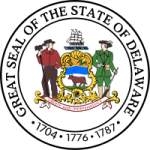 They include the Delaware Governor’s Workforce Development Grant for Working Adults, the Delaware Division of Vocational Rehabilitation and several military benefits offered through the Department of Defense. Individuals who choose to work and train at a long-term care facility in Delaware get free training. The law requires the employer to pay all training costs and exam fees, but the student must earn certification as a nurse aide within 120 days to continue working. Individuals who graduated a nurse aide program and earned CNA certification, and then found employment at a long-term care facility within 12 months, can request an employer reimbursement for training costs. The reimbursement is made on a prorated basis based on the number of months the Certified Nurse Aide works during the first year. Many programs require attendance at an orientation session, during which individuals are informed of specific prerequisites. Within each of these major topics are a variety of skills. For example, the nurse aide will learn how to measure and document blood pressure, temperature and pulse. The Delaware Nurse Aide Competency Exam is a two-part test. Testing individuals can take the CNA exam at the school or long-term care facility where they completed training, or at a Prometric regional test site. The Written Test has 60 questions in a multiple-choice format. Test results will only show if the individual passed or failed this part of the CNA test. The Clinical Skills Test requires individuals to perform five CNA skills. While completing the five skills, each person is also rated on Handwashing plus skills called Indirect Care. Indirect Care are skills like communication with residents and infection control. Passing this part of the CNA exam requires passing all five skills. Each person gets three attempts to pass both parts of the state exam within 24 months of completing training. Prometric will add the names of people who pass the Competency Examination to the Delaware Nurse Aide Registry (here). The DLTCRP will add the names of approved applicants for Deemed Certification, and any others the agency reviews and approves, to the Registry. An employer provides verification of work hours. A state approved education provider enters the continuing education hours on a Continuing Education (CE) Site. If the CE hours are not completed before the certification expires, the person will have to retake the competency exam. The CNA recertification application form is here.